Compiled by Robert A. Woods, P.G.H.P. Organized July 14, 1819, under dispensation issued April 1, 1819, by Deputy General Grand High Priest, Thomas Smith Webb; but Webb died without making official report of his action to General Grand Chapter. The Chapter made no returns, believing it was wording under charter as an independent body. Hence General Grand Chapter at its September, 1819, meeting having only hearsay evidence of its existence took no action and no charter was granted; but Chapter continued to work U.D. until 1829, when it suspended until July 19, 1842, when it resumed labor. In 1843 its irregularity was brought to their attention Deputy General Grand High Priest Stapleton, and it ceased labor and petitioned General Grand Chapter to heal and confirm its doings from September, 1819, to date; this was done by General Grand Chapter September 12, 1844, and a charter was granted, upon the Chapter healing the member's by re-obligating them. This confirmation gives the Chapter an unbroken record since July 14, 1819. Regretfully, Madison No. 1 was consolidated with Columbus No. 10 on September 11, 2000. Organized under dispensation given by Deputy General Grand High Priest Thomas Smith Webb sometime during 1819, but Webb died before General Grand Chapter met in September, 1819, and no official report was made of its formation; upon the hearsay evidence General Grand Chapter did not act, and no charter was granted. 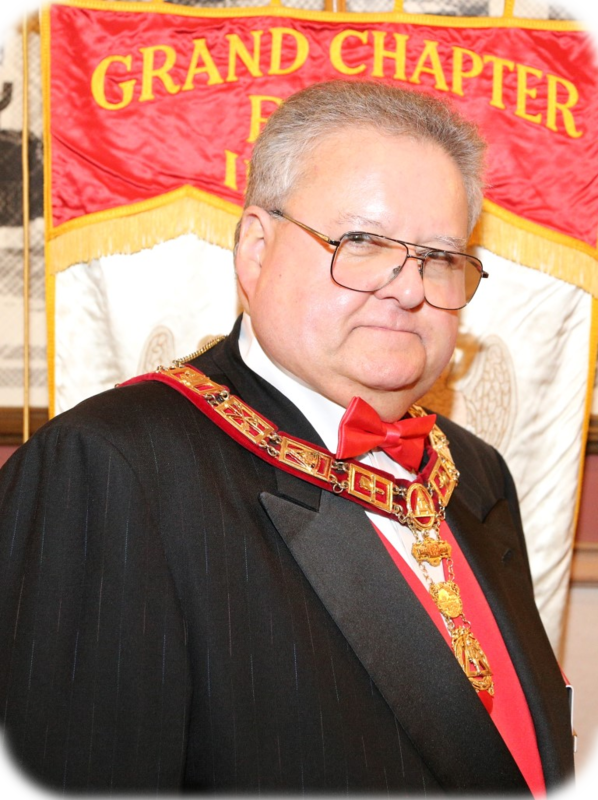 General Grand Chapter gives the order of formation as Madison first and Brookville second. Brookville met with Madison and Vincennes, at Madison, May 13, 1823, and organized a Grand Chapter, which never functioned thereafter, and Brookville Chapter passed out of existence, with no records left even of its brief career. Organized June 16, 1820, under dispensation issued May 13, 1820, by General Grand King, John Snow. September 15, 1826, the Committee on Doings of General Grand Officers reported That charter's have been granted to Vincennes Chapter on May 13, 1820, and the Jennings Mark Lodge at Vevay on May 4, 1821.” This Chapter during its early years was very peripatetic, and aside from taking part in the formation of a Grand Chapter at Madison in May, 1823, which went for naught, it suspended functions on four different occasions, viz, from March 9, 1830, to December 29, 1834; from August 7, 1836, to May 2, 1838- from February 3, 1839, to February 28, 1842, and from November 16, 1842, to May 7, 1845. 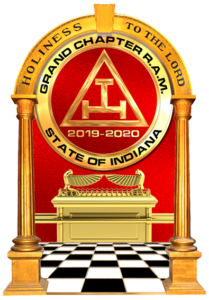 On this last date it resolved to participate in the approaching meeting at Indianapolis for the purpose of forming a Grand Chapter and, although five delegates were named, not one was present at the formation. About this time the history of Vincennes Chapter was rather clouded. Whether it was working under dispensation or charter is not clear; for on May 22, 1848, Grand Chapter provided that "a charter or dispensation be issued in vacation by the Grand High Priest and one other Grand Officer, which although the Chapter met on June 30, 1848, to receive it, and the Grand High Priest, at the May, 1849, Annual, reports that a charter has been issued to Vincennes Chapter No. 7, yet future developments reveal it was never delivered, and that the Chapter really received a Dispensation granted in 1848, signed by the Grand High Priest, but not even attested by the Grand Secretary," as reported by Grand High Priest William Hacker in 1858, and upon Hacker’s recommendation a charter was granted on May 21, 1858. Madison Chapter, Brookville Chapter, and Vincennes Chapter met at Madison on May 13, 1823, and organized a Grand Chapter. From some cause, it never met afterwards, and was actually and legally dissolved by reasons of its failure to comply with its own constitutional requirements to meet and elect officers at the regular meeting in May, 1824. 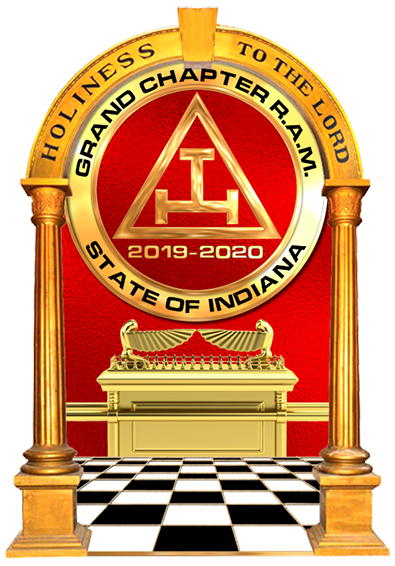 Neither was General Grand Chapter advised of its existence, except hearsay: said body therefore on September 12, 1844, declared it to have no legal existence or authority. This paved the way for the present Grand Chapter of December, 1845.